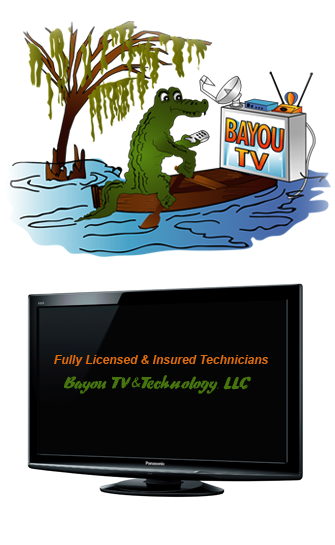 MISSION: Bayou TV & Technologies mission is to provide high quality, reliable installation & service for H.D. TV equipment and home theater systems through out the greater N.O. area. VALUE: Our company values reliability, providing service & adding value to our clients with competence. Bayou TV & Technology has been serving the entire West Bank and the New Orleans areas for 25 years. VISION: We are continuously training to keep up with new technology. We will continue to grow and expand in facility for service and development.